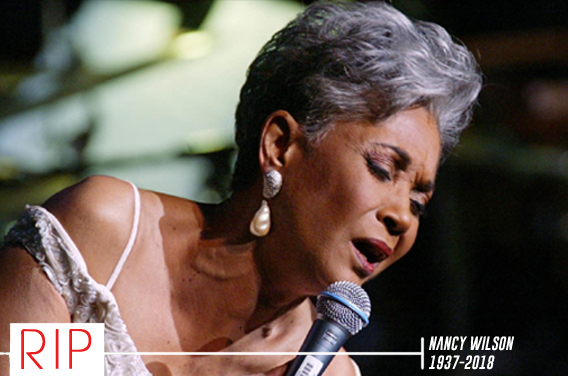 One of the most iconic jazz vocalists of the 20th century and a trailblazer in the jazz stylist category, Nancy Wilson succumbed on Thursday at her home in Pioneertown, California. She was 81. A confirmation of her passing, which resulted after a long illness, was made by her longtime manager, Devra Hall Levy. For five incredible decades, Wilson – sweetly nicknamed by her peers as “Miss Nancy” and “Fancy Miss Nancy” – rose above her contemporaries to become the standard bearer for a type of sophisticated vocal jazz, by approaching a song with such finesse, charm and gusto that allowed her recordings to become significant. At the very heart of any Wilson performance, there is this center Wilson relies on, the need to tell a story through song. And she did it better than most. Born in the small town of Chillicothe, Ohio (forty miles south of Columbus), Wilson was inspired by jazz greats like Nat King Cole and Dinah Washington, even a cluster of R&B pioneers like Ruth Brown and LaVern Baker. As a young teen, Wilson managed to work her way into small clubs in Columbus until she was quickly discovered and dropped out of college to join a spot with Rusty Bryant’s traveling band. She managed to cut music with Bryant’s band on Dot Records, but legendary alto saxophonist Julian “Cannonball” Adderley propositioned a move to New York City to help solidify her career. The move in 1959 led to an immediate signing with Capitol Records the following year. 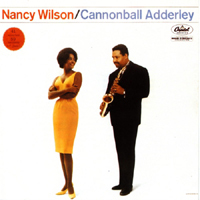 In 1962, a double-header LP featuring Cannonball Adderley, was released and gave way to yet another smoldering event, the stunning “Save Your Love for Me.” Both Adderley and Wilson serenade the ear on this timeless classic. It became Wilson’s first foray into the R&B charts, soaring all the way to number 11. Throughout the ‘60’s, Wilson continued to record for Capitol, many of them making their way up the pop charts. Her singles also managed to soar: 1964’s “(You Don’t Know) How Glad I Am,” a Grammy winner for Best R&B Recording, climbed all the way to number 11 pop and number 2 R&B; a remake of Stevie Wonder’s “Uptight (Everything’s Alright)” swung to number 10 AC; “Face It Girl, It’s Over” and “Peace of Mind” – both released in 1968 – hung around the Top 40 on the R&B charts and making impact on the pop charts. 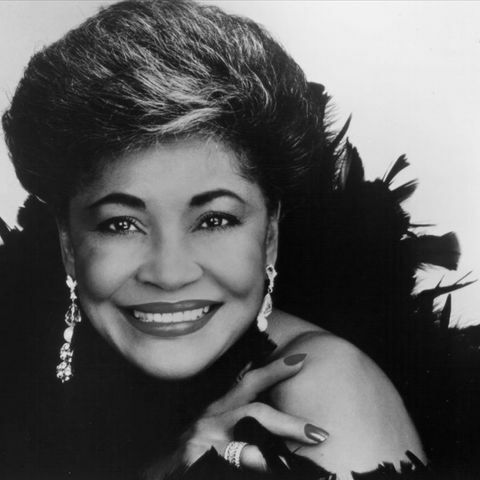 During this time, Wilson, at her apex, became one of the first African-Americans to host a TV program, the Emmy-winning “The Nancy Wilson Show” on NBC. Also of that period, “What Are You Doing New Years’ Eve,” a B-side track, slowly crawled into the indexes of evergreen holiday music and remains a popular track during the holiday season and in the world of Christmas compilations. By the time the ‘70’s emerged, Wilson continued to reinvent herself by moving away from the easy listening pop-jazz that defined her late ‘60’s output. By pairing up with Philly soul producers Kenny Gamble and Leon Huff, 1970’s Now I’m a Woman, led by the title cut, seemed like a right move. It allowed her to work with the newest stars in R&B while keeping Wilson’s name relevant and on the breath of hippies and the soon coming pilgrimage of disco revelers. Of that period, “You’re As Right As Rain,” a Thom Bell-Linda Creed song originally recorded on the Stylistics, was masterfully produced on Wilson by Barry White’s arranger Gene Page and reigns as the superior version. It even soared to number 10 R&B, her highest climb on that chart. By the time disco emerged, many soul acts went into hiding or embarrassingly tried their way with the Studio 54 hustle. Wilson went for it, pulling off “Life, Love and Harmony,” a song that managed to creep to number 83 R&B. By 1980, Wilson was dropped from Capitol, ending a long and impressive run with the historic label. Several albums on smaller independent labels emerged throughout the bulk of the decade, but Wilson managed to find higher ground with Columbia and releasing a joint album with Ramsey Lewis (The Two of Us) in 1984. The disc marked her first showing on the album charts (#144 on the Billboard 200, R&B #42). A string of albums followed with 1987’s Forbidden Lover, 1988’s Nancy Now and 1989’s A Lady with a Song. The latter was another feelgood moment for Wilson’s career. Soaring to number 68 on the R&B Albums chart, the album was propped up with a master class on Quiet Storm sultriness led by a team of stellar musicianship (Greg Phillinganes, Skip Scarborough) and a rapturous cover of The Emotions’ “Don’t Ask My Neighbors” powered by Phillip Bailey and Wanda Vaughn on backing vocals. 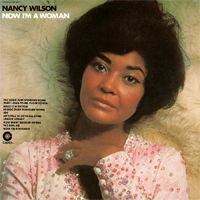 Although Wilson’s last journey on the R&B charts appeared in 1994 with Love, Nancy, the disc contained some of her finest performances. Thanks to majestic renderings of “I Can’t Make You Love Me” and the Philly soul classic “Love Won’t Let Me Wait,” Wilson had the ear of contemporary jazz collectors and urban R&B lovers. Wilson continued to defy all the odds, pushing forward with “If I Had My Way.” Released in 1997, this Randy Jackson-produced track pulled on the coattails of Babyface-esque uptempo R&B. The rest of the album saw Wilson teaming up with Michael J. Powell and Barry J. Eastmond, two of Anita Baker’s collaborators. Among her greatest achievements, Wilson landed seven Grammy nominations, winning three in all. Two of them were given towards the end of her career before entering retirement, which she won Best Jazz Vocal Album for RSVP (Rare Songs, Very Personal) and Turned to Blue in 2005 and 2007 respectively. She also was awarded a star on the Hollywood Walk of Fame. Throughout her career, Ms. Wilson strayed away from scandal, tabloid and celebrity and focused intently on the art of music. She also was no stranger to television and film, appearing on shows Carol Burnett Show, Moesha, The Parkers, Hawaii Five-O and The Cosby Show, just to name a few. In 1960, she married the drummer Kenny Dennis, divorcing him in the ‘70’s. In 1973, she married Wiley Burton, a Presbyterian minister with whom she remained until his death in 2008. Wilson is survived by her three children, Kacy Dennis, Sheryl Burton and Samantha Burton; two sisters, Karen Davis and Brenda Vann; and five grandchildren.